A&V - Alaïa Galleria Borghese © Azzedine Alaïa. 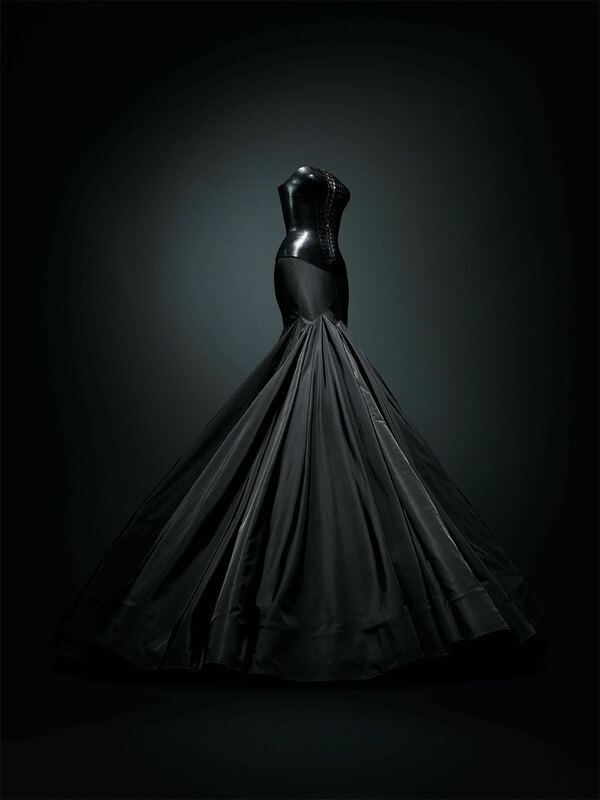 If we had to choose one word to summarize the work of the late fashion designer Azzedine Alaïa it would be timelessness. Exquisitely crafted and sumptuously feminine, the haute couture creations of the Paris-based, Tunisian designer were the product of a very personal creative process that defied the rules of fashion, ignored trends and fads, and even eschewed the system of biannual seasons that high fashion is structured on—Alaïa famously showed his collections when he felt they were ready. It is therefore quite fitting that his first exhibition in the UK at the Design Museum in London, which opens its doors today, would be conceived and co-curated by none other than the master himself. Sadly, his death in November 2017, seven months into preparing the show, means he won’t be able to see his vision come alive. 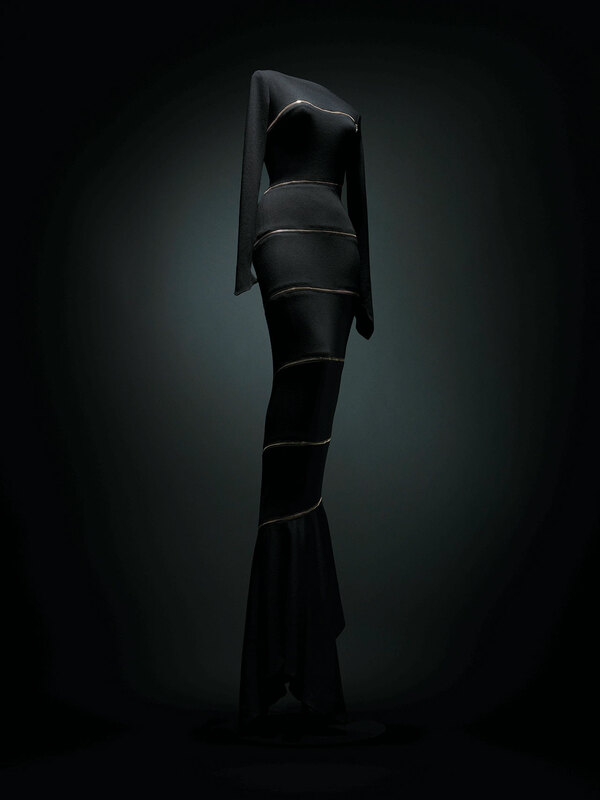 Co-curated by Alaïa’s long-term collaborator and friend, Mark Wilson, Chief Curator of the Groninger Museum in the Netherlands, “Azzedine Alaïa: The Couturier” showcases over 60 rare and iconic garments spanning the designer’s esteemed career, from the early 1980s to his final creations, alongside a series of specially commissioned backdrops by leading designers and an eclectic selections of photographs. 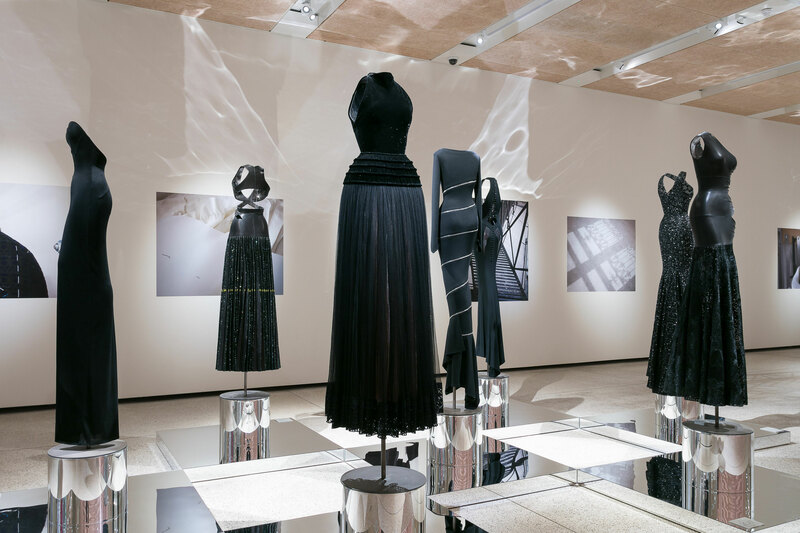 Installation of view of "Azzedine Alaïa: The Couturier" at the Design Museum. Photo by Mark Blower. Through his craft, Azzedine Alaïa celebrated the female body in all shapes and sizes. From his early days in the 1970s when he was making costumes for the girls of the Crazy Horse cabaret and dressing Greta Garbo, to bedecking stars like Grace Jones in the 1980s and more recently the Kardashian sisters, the concept of womanhood was always in the forefront of his designs. Out of the public eye, ensconced in his atelier at Rue de Moussy in Paris, which also housed his apartment, showroom and shop, Alaïa passionately unfolded his mastery in his own terms. 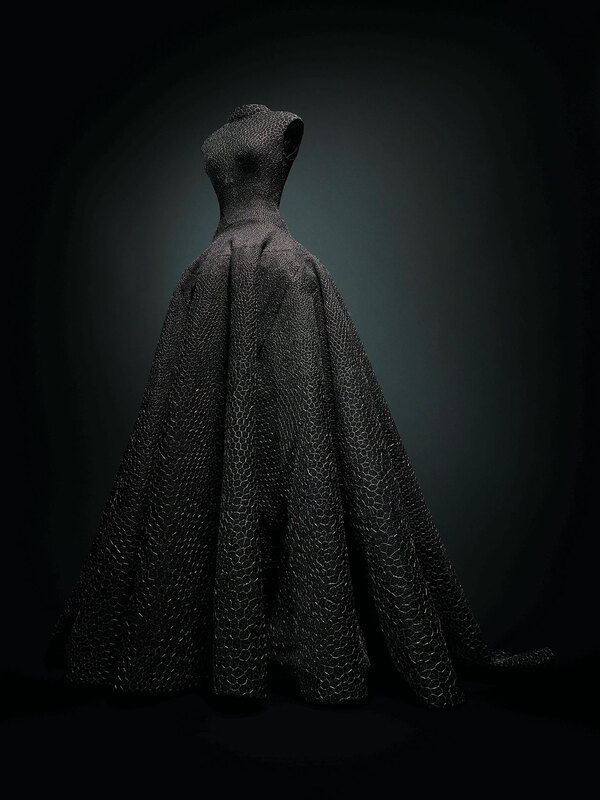 A well known perfectionist—a dress could take anywhere from five weeks to five years—he eschewed working from drawings, preferring instead to drape and sculpt by hand on his models, meticulously hand-cutting all his own patterns. “He’s the master of cut and fit, a sculptor”, as Wilson has pointed out. For Alaïa, the eroticism of the female body was not something to shy away from but on the contrary something to be embraced. From contouring the bosom and buttocks with seams, to draping the whole body in leopard print, there is a powerful female sexuality exclaimed by his garments. 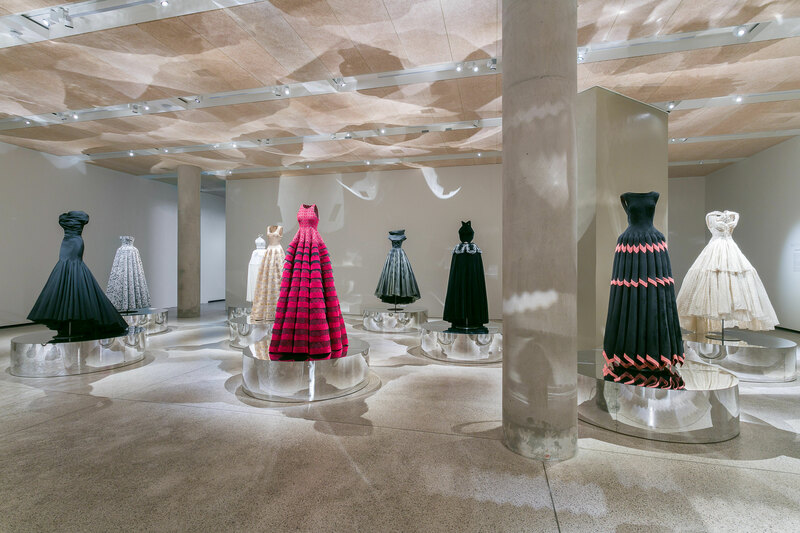 The garments on display have been grouped by Alaïa himself to reflect themes that marked his career, such as velvet, African-inspired, and bandage dresses, each one showcased against a unique installation by an eclectic selection of artists and designers that include Ronan & Erwan Bouroullec, Konstantin Grcic, Marc Newson, Kris Ruhs, and Tatiana Trouvé. The bespoke backdrops soulfully complement the couturier’s sculptural creations without detracting from their beauty and craftsmanship, which visitors can comprehensively explore as they walk around his creations. Naomi Campbell wearing Azzedine Alaia Tati Collection Spring Summer 1991. 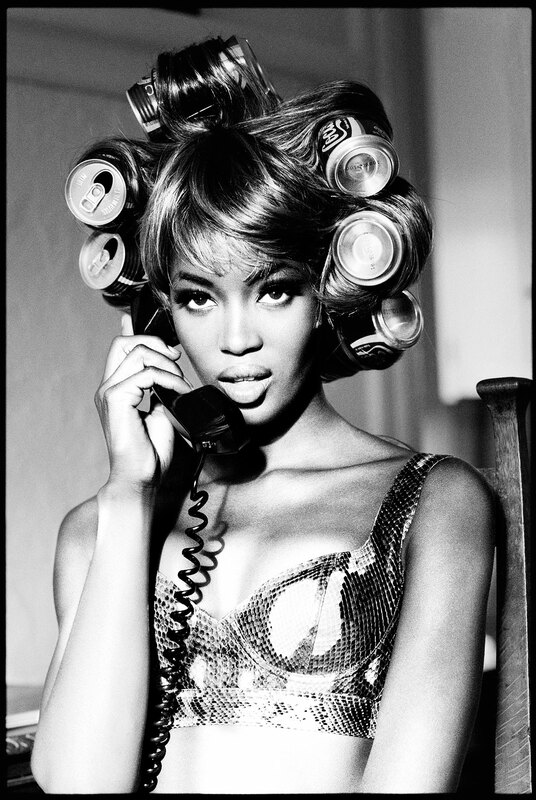 Photo by Ellen von Unwerth. 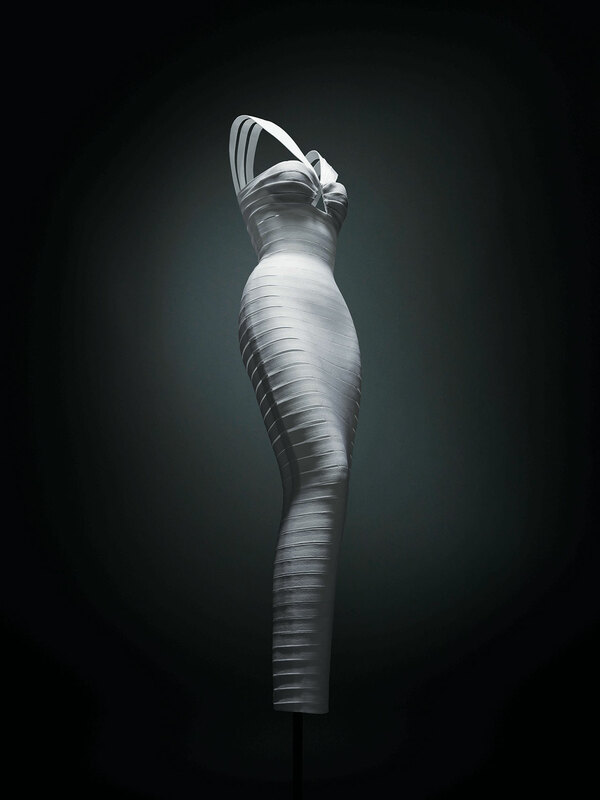 Accompanying Alaïa’s garments, which include all of his iconic designs such as the zipped dress, the bandage dress, the corset belt and the stretch body, is fashion photography that captures the imitable allure of his creation as worn by some of the most famous models of the era, including Naomi Campbell, Alaïa’s muse and long time friend, whose relationship goes back to 1987 when the designer took sixteen-year-old Naomi under his wing effectively becoming a father figure for her. 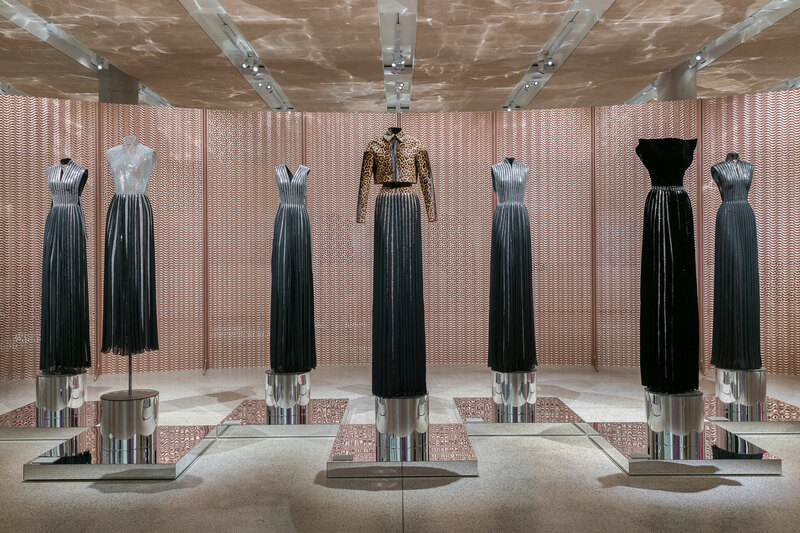 On display, there are also pictures capturing more intimate moments inside the secretive Maison Alaïa, such as Alaïa’s sought-after dinners where guests would congregate around the kitchen table in his house to eat, drink and talk, as well as documentingt the intricacies of the production process at his atelier. Dressed in his signature black Chinese cotton pyjamas, Alaïa is pictured among friends and clients, models and fabrics, relaxed or hard at work, always with an unassuming look of authentic contentment, for he would not have wanted to be doing anything else than what he was doing. “For me, fashion is the body,” Alaïa said in 1982, and later, “I make clothes, women make fashion,” a few of the designer’s quotes that are featured in the exhibition, and indeed, as the exhibition evocatively demonstrates, his work was never about being fashionable but rather about being feminine, a timeless quality if there ever was one. Christy Turlington in Azzedine Alaïa, New York City, 1987. Photo by Arthur Elgort. Fashion designer Azzedine Alaia holding his two Yorkshire terriers, Patapouf and Wabo, walking in Paris street with model Frederique who wears one of his creations, a black leather zippered dress, 1986. Photo by Arthur Elgort. Photo part of Paris/Minesota project by Alec Soth, Carla Sozzani & Azzedine Alaia, 2007. Naomi Campbell and Azzedine Alaïa, 1987. Photo by Arthur Elgort. Christy Turlington in Azzedine Alaïa, New York City, 1987. Photo by Arthur Elgort, 1987. Naomi Campbell wearing Azzedine Alaïa Tati Collection Spring Summer 1991. Photo by Ellen von Unwerth. 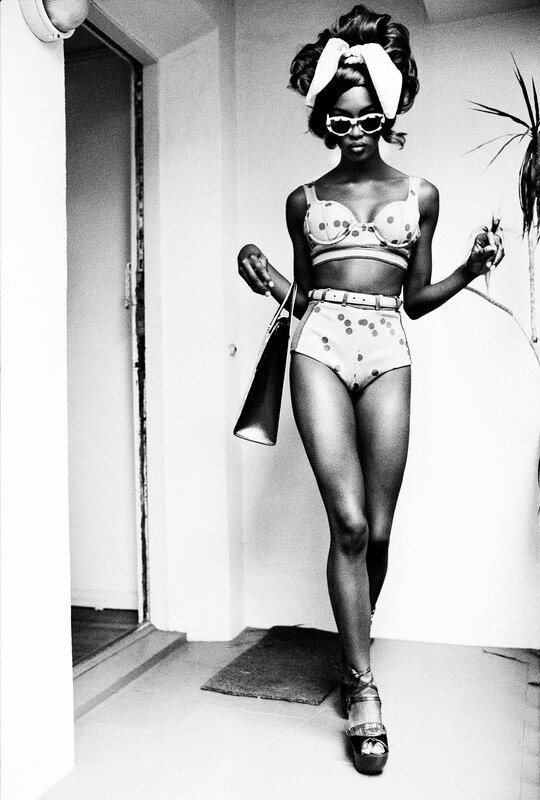 Naomi Campbell wearing Azzedine Alaïa Tati Collection Spring Summer 19911. Photo by Ellen von Unwerth. Models after the Azzedine Alaia Fashion Show, Paris, 1986. Photo by Arthur Elgort. Azzedine Alaïa and Joan Severance in Alaia by Arthur Elgort for Vogue, 1982. Photo by Arthur Elgort. 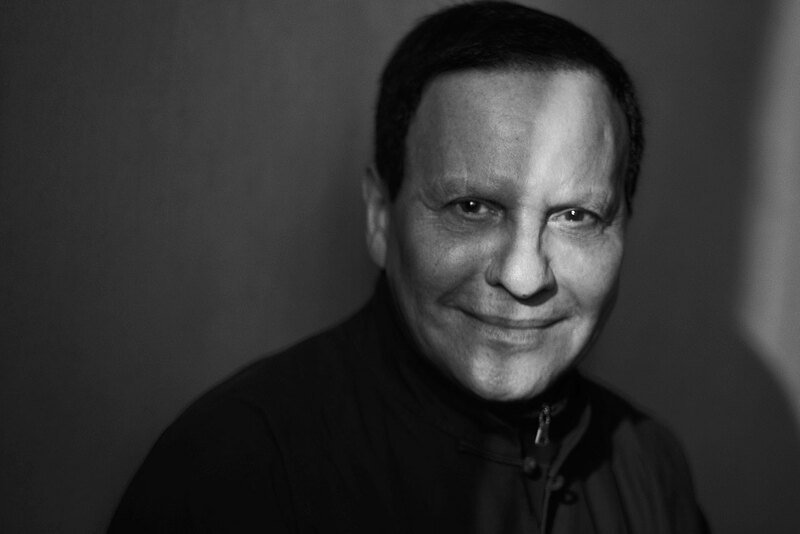 Azzedine Alaïa portrait. Photo by Peter Lindbergh.